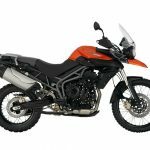 Triumph is set to reveal some new updates to its Tiger 800 including a number of different versions making it either more highway or more off-road oriented. 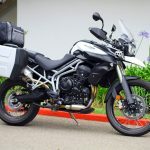 The both the Tiger 800XC and the less adventure-worthy Tiger 800 will see two new variants, with the Tiger 800 likely being rebranded as the Tiger 800XR. Note: the information in this chart may still be subject to change. 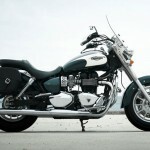 We won’t know the official details until Triumph releases official details. 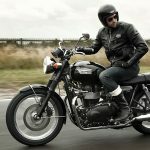 The pricing information especially looks to be estimates, as Triumph’s prices typically aren’t rounded to the nearest 100. From this chart, we can see the Tiger 800 separated into the XR and XC groups. The XC models will be more off-road capable, with wire-spoke wheels and longer-travel adjustable suspension from WP. The XR models have more of a road bias, with shorter suspension and cast wheels. 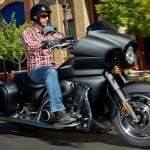 All six variants will come standard with ABS, traction control, ride-by-wire throttle control and adjustable seats. The chart also indicates a 15% improvement in fuel economy. The CARB document also shows the new models produce fewer hydrocarbons, nitrous oxide and carbon monoxide than the 2014 models. The XRX, XCX, XR Touring and XC Adventure models will receive three selectable ride modes, cruise control, hand guards, center stands and adjustable windscreens. The XRX adds an auxiliary power socket, new rider and passenger seats, a CNC-machined rear brake reservoir and an aluminum radiator guard. The XR Touring receives all of the XRX’s upgrades but adds panniers, heated grips and seat, a GPS and an upgraded alternator. The Tiger 800XCX will also receive the CNC-machined rear brake reservoir and radiator guard but also adds an aluminum sump guard and engine protectors. The XC Adventure receives those upgrades but also receives CNC-machined footpegs, panniers, heated grips, heated seat, GPS and upgraded alternator. The chart lists U.K. prices, ranging from £8,500 (US$13,700) for the basic 800XR to £11,400 (US$18,380) for the 800XC Adventure. 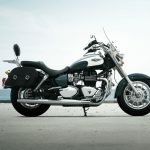 These prices will likely change, but if they hold, the highest-level Tiger 800 will cost more than the base level 1215cc Triumph Tiger Explorer which the chart lists at £11,299 (US$18,225). 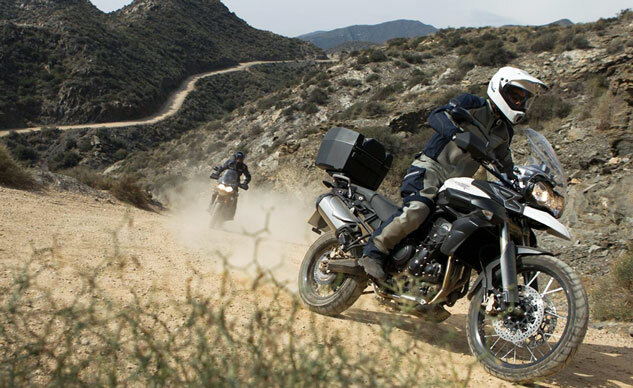 Triumph will likely announce its 2015 Tiger 800 lineup at EICMA in November.